Always the first Sunday in October, the Castro Street Fair is a community celebration that was founded by Harvey Milk in 1974. Hundreds of local artists, vendors, craftspeople and organizations line the streets and celebrate the diversity of the neighborhood. Stages with live entertainment and dance stages can be found throughout the fairgrounds. The Fair is a nonprofit 501 ( c ) (3) organization and all proceeds go directly to charitable causes important to the Castro community. Additionally, the Fair funds the rainbow flag that flies over the intersection of Castro and Market. Smoothing out the bumps delivers this overview for the past 30 years. Whatever the phase of the cycle, up or down, while it’s going on people think it will last forever: Every time the market crashes, the consensus becomes that real estate won’t recover for decades. But the economy mends, the population grows, people start families, inflation builds up over the years, and repressed demand of those who want to own their own homes builds up. 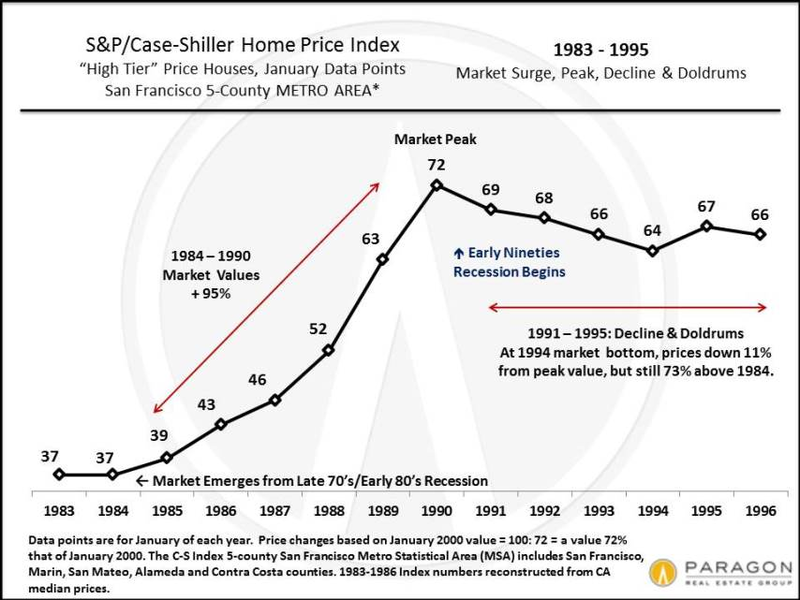 In the early eighties, mid-nineties and in 2012, after about 4 years of a recessionary housing market, this repressed demand jumps back in (or “explodes” might be a good description) and prices start to rise again. It’s not unusual for a big surge in values to occur in the first couple years after a recovery begins. 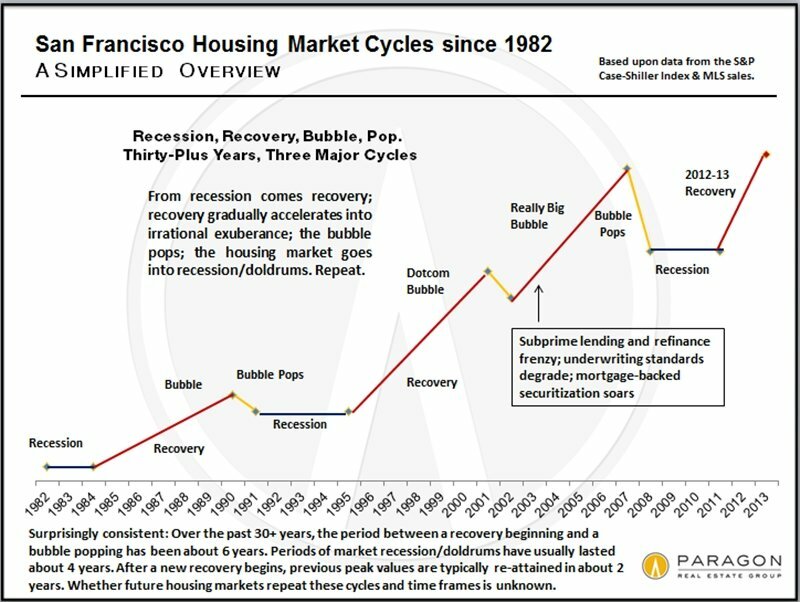 Surprisingly consistent: Over the past 30+ years, the period between a recovery beginning and a bubble popping has run approximately 6 years. We are currently something less than 2 years into the current recovery. Periods of market recession/doldrums following the popping of a bubble have typically lasted about 4 to 5 years. Generally speaking, within about 2 years of a new recovery commencing, previous peak values (i.e. those at the height of the previous bubble) are re-attained — among other reasons, there is the recapture of inflation during the doldrums years. 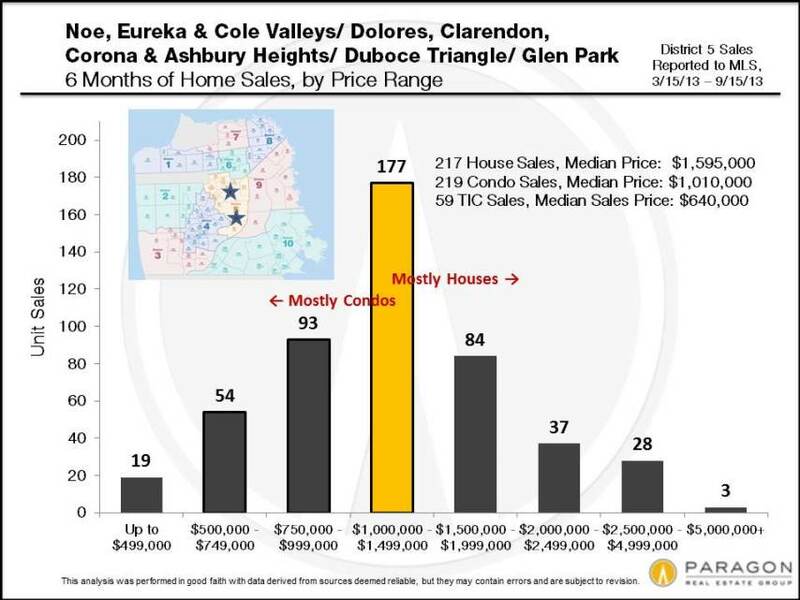 In this current recovery, those homes hit hardest by the subprime loan crisis — typically housing at the lowest end of the price scale in the less affluent neighborhoods, which experienced by far the biggest bubble and biggest crash — may take significantly longer to re-attain peak values, but higher priced homes are already doing so. 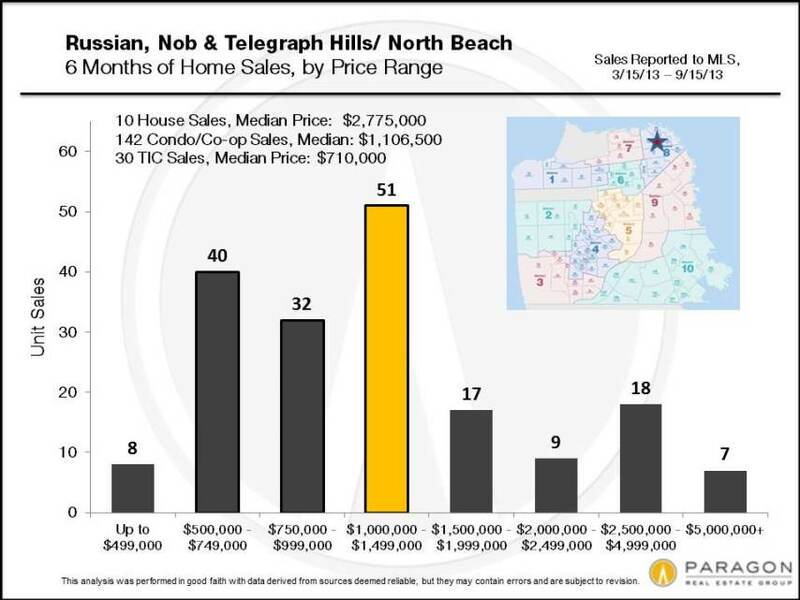 This does not mean that these recently recurring time periods necessarily reflect some natural law in housing market cycles, or that they can be relied upon to predict the future. It’s much harder to decipher any cycles in 30-year mortgage rates over the same period. 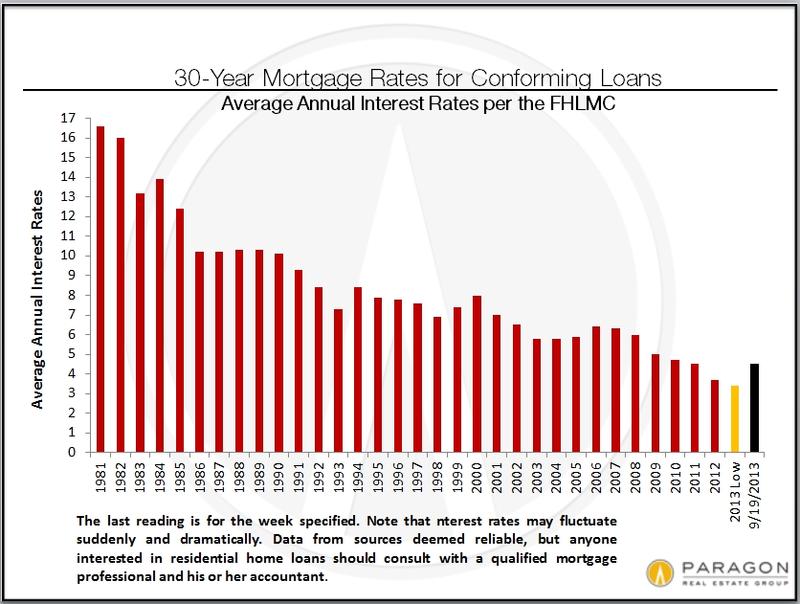 Despite the rate spike over the summer, rates remain very low by any historical measure, and this, of course, plays a huge role in the ongoing cost of homeownership. In the above chart, the country is just coming out of the late seventies, early eighties recession – huge inflation, stagnant economy (“stagflation”) and incredibly high interest rates (hitting 18%). 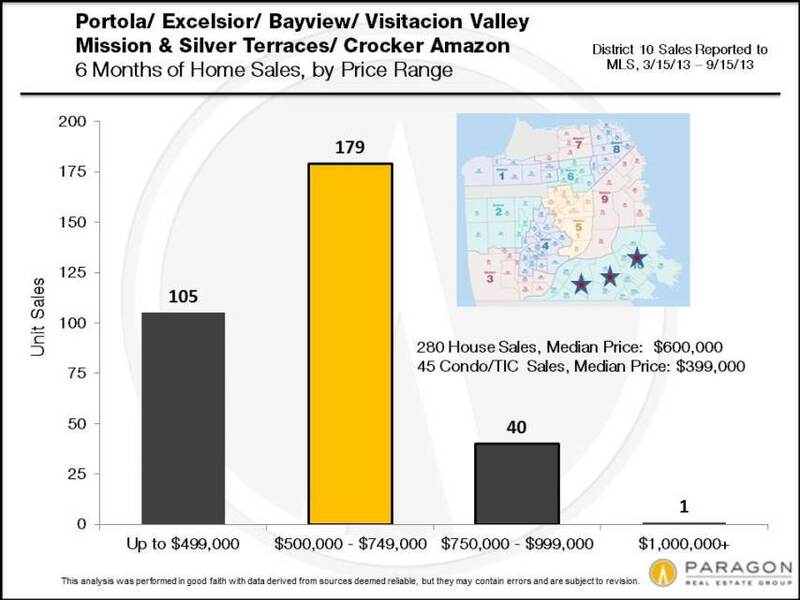 As the economy recovered, the housing market started to appreciate and this surge in values began to accelerate deeper into the decade. Over 6 years, the market appreciated almost 100%. Finally, the eighties version of irrational exuberance — junk bonds, stock market swindles, the Savings & Loan implosion, as well as the late 1989 earthquake here in the Bay Area — ended the party. This next cycle looks similar but elongated. In 1996, after years of recession, the market suddenly took off and became frenzied — actually quite similar to what we’re experiencing today. 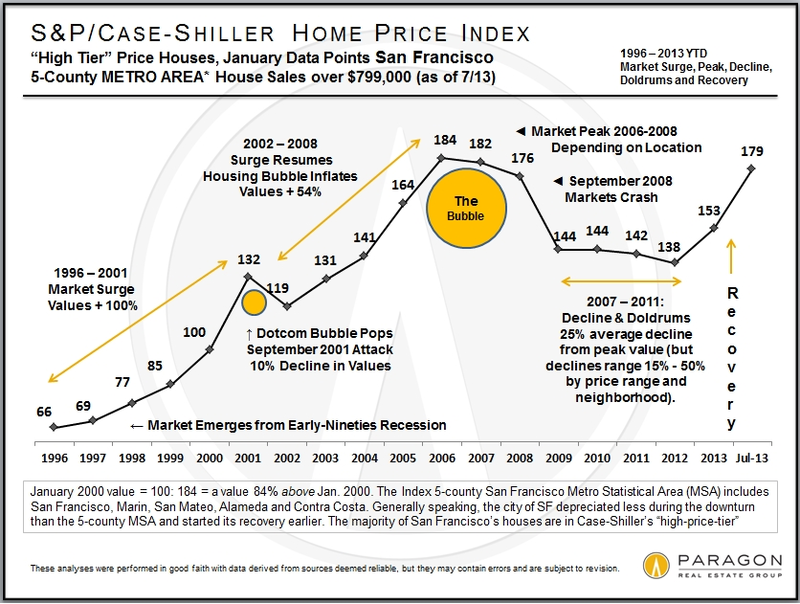 The dotcom bubble pop and September 2001 attacks created a market hiccup, but then the subprime and refinance insanity, degraded loan underwriting standards, mortgage securitization, and claims that real estate never declines, super-charged a housing bubble. Overall, from 1996 to 2006/2008, the market went through an astounding period of appreciation. 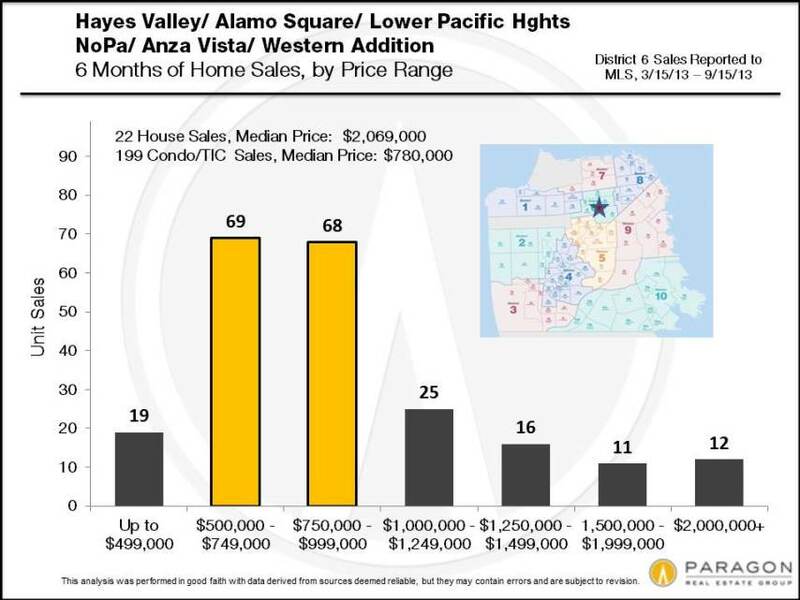 (Different areas hit peak values at times from 2006 to early 2008.) The air started to go out of some markets in 2007, but in September 2008 came the market crash. 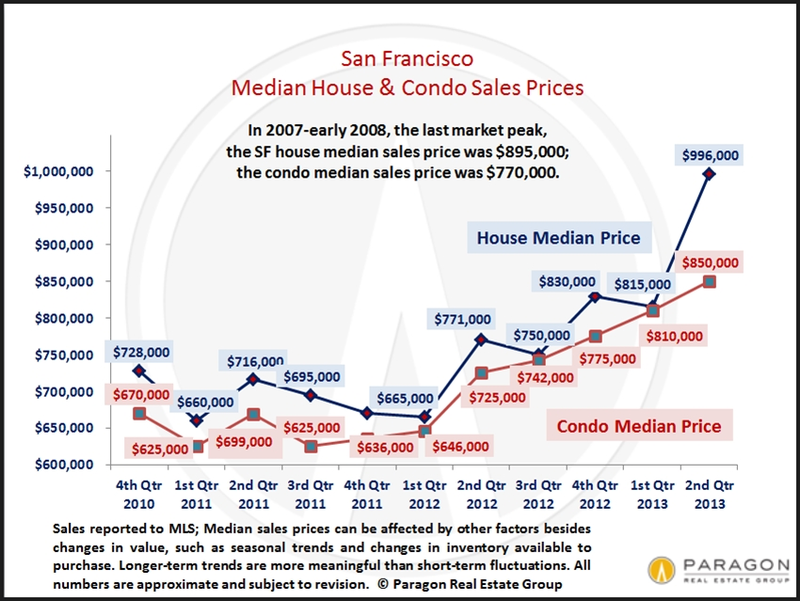 In 2011, San Francisco began to show signs of perking up. 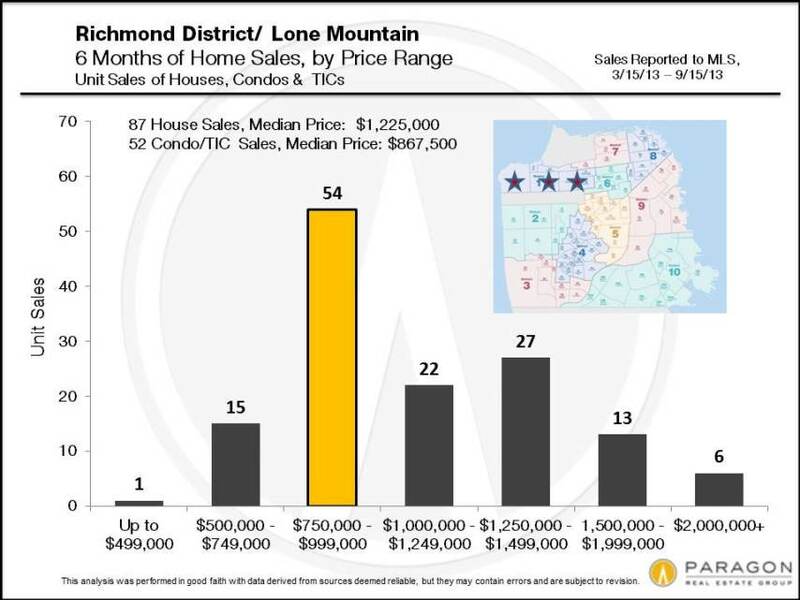 An improving economy and growing buyer demand coupled with a low inventory of listings began to put upward pressure on prices. In 2012, as in 1996, the market abruptly grew frenzied with competitive bidding. 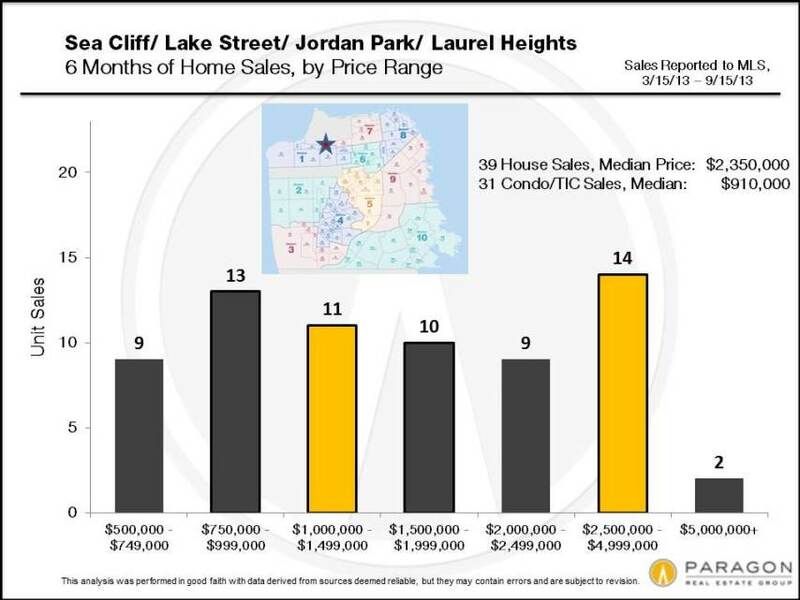 The city’s affluent neighborhoods led the recovery, and those considered particularly desirable by newly wealthy, high-tech workers showed the largest gains. However, virtually the entire city soon followed to experience similar rapid price appreciation. 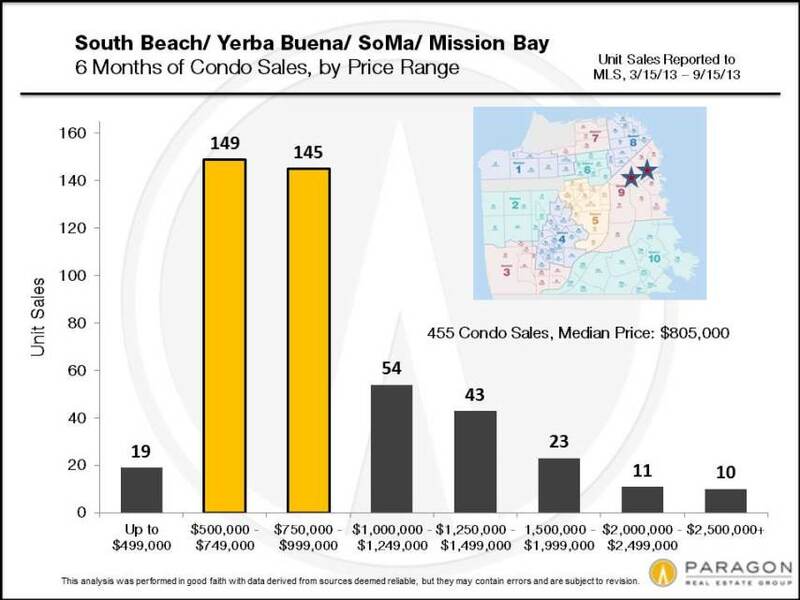 San Francisco median home sales prices increased dramatically in 2012 and then accelerated further in the first half of 2013. 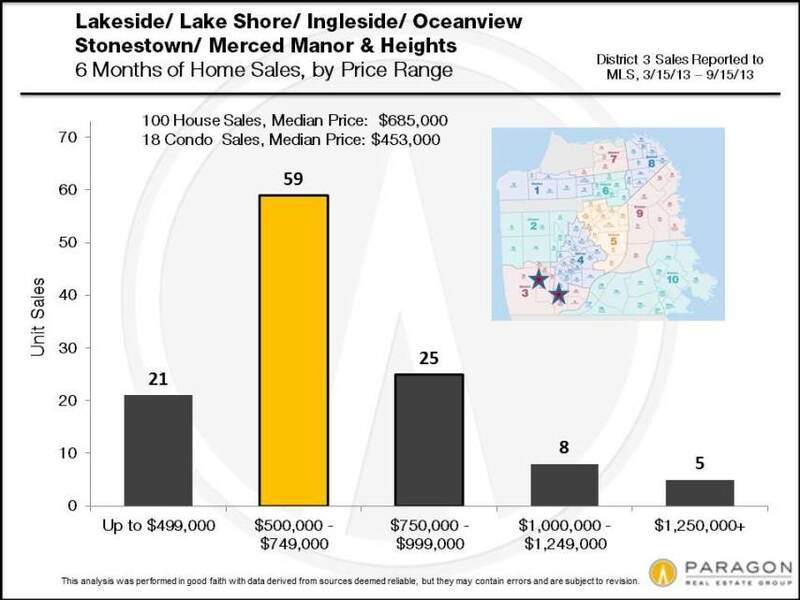 (Note that third quarter figures will probably show a typical seasonal decline from second quarter median prices. 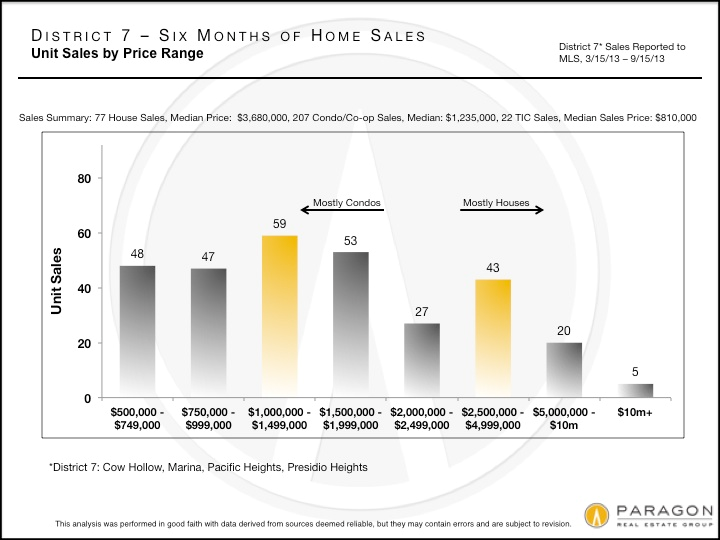 There are also seasonal cycles in real estate.) 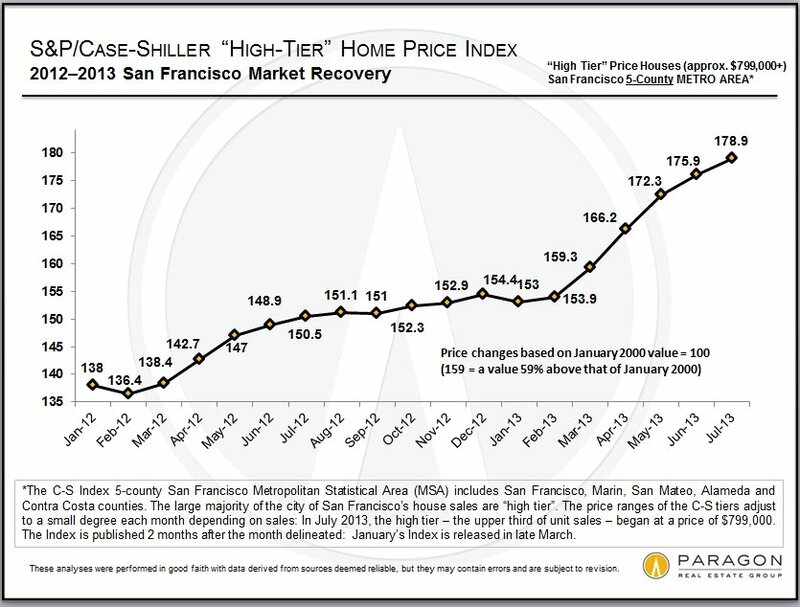 By all appearances, San Francisco and the Bay Area are in the midst of a healthy recovery. Among other positive signs, new home construction is soaring. All data from sources deemed reliable, but may contain errors and is subject to revision. 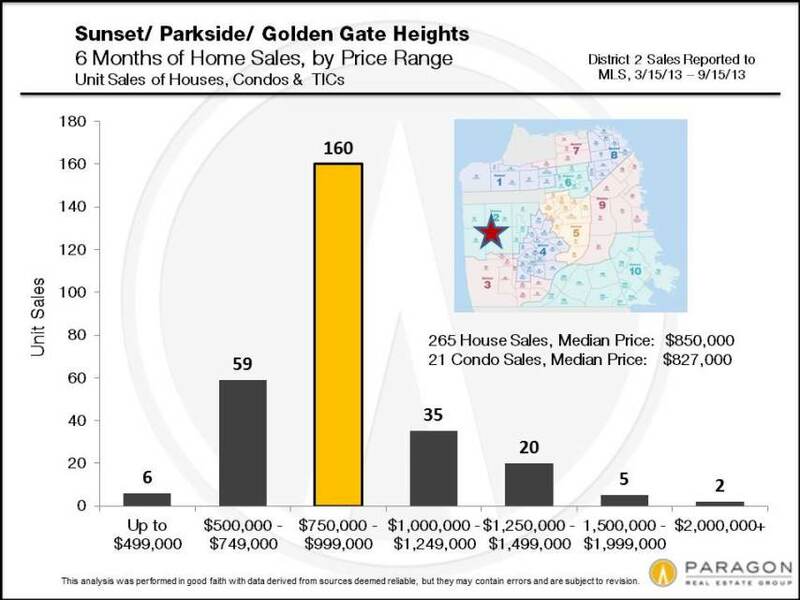 Copyright 2013 Paragon Real Estate Group. 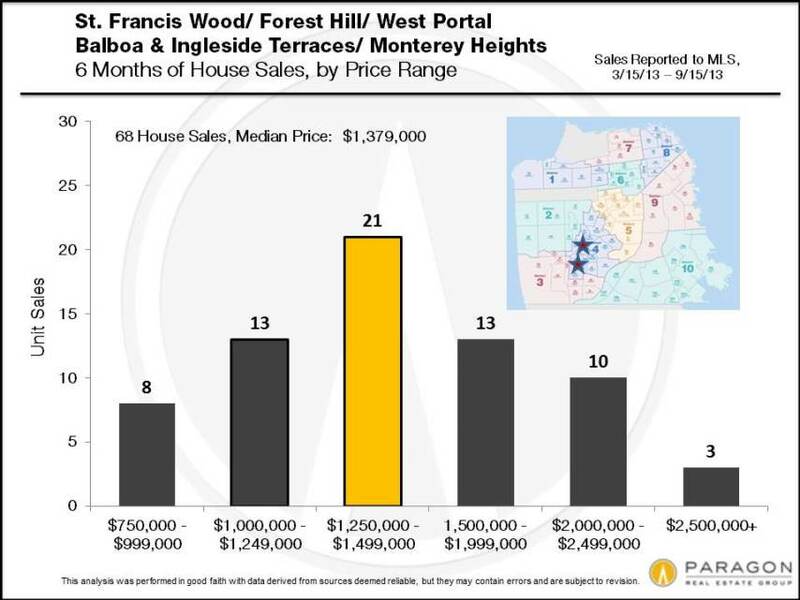 For the 5-County San Francisco Metro Statistical Area, all price segments showed increases, though the lowest price tier jumped the most – 4% — reflecting the rapid decline in distressed property sales. 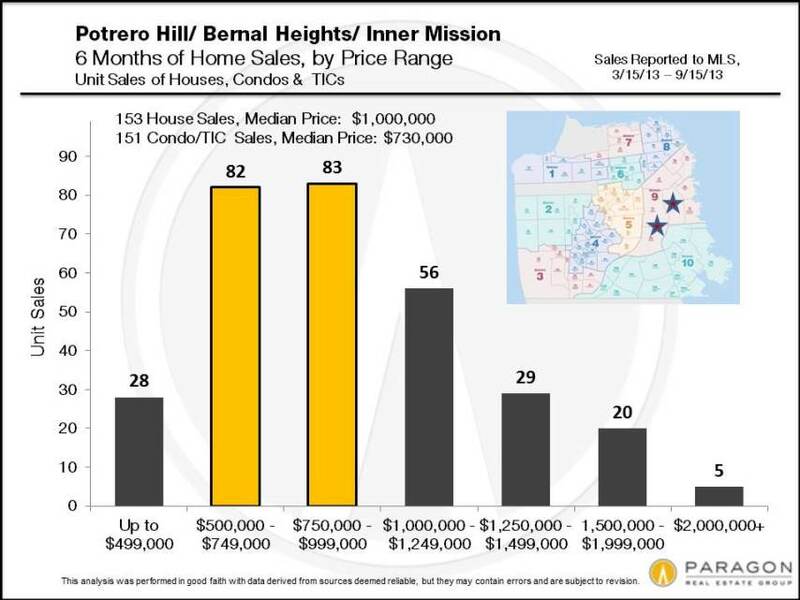 Overall, for all price segments, the jump over June was about 2.3%, which translates into an increase from 12 months ago of approximately 25%. 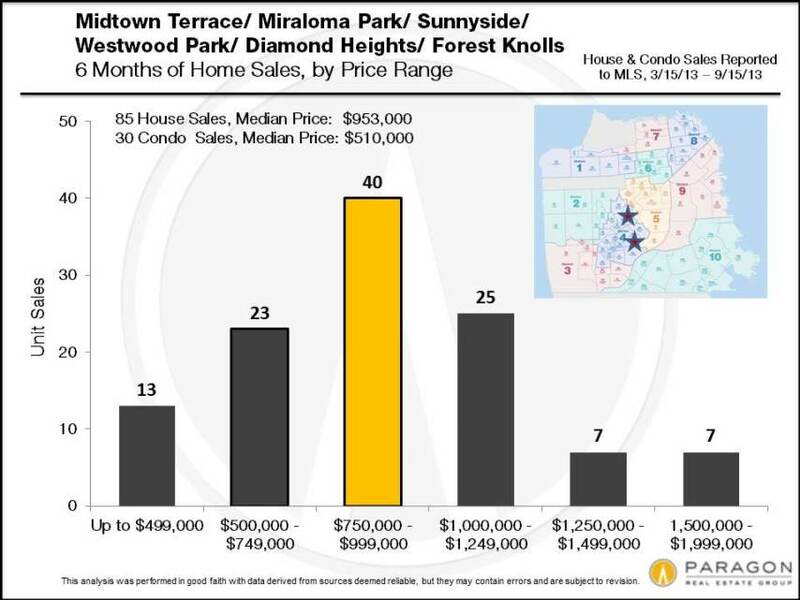 Compared to the 19 other major metro areas Case-Shiller tracks, that puts our recovery as the strongest in the nation behind that of Las Vegas (which was perhaps the city hit hardest by the distressed property crisis and is still far below previous peak values). Hard to believe we’re nearing the end of the third quarter here in 2013, but we are. 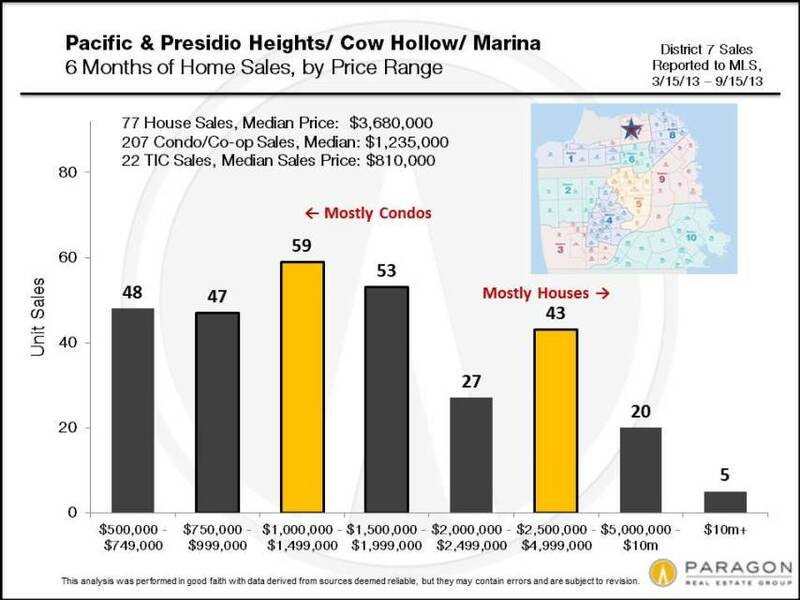 Here’s a look back at the previous six months of sales in District 7 which covers Cow Hollow, the Marina, Pacific Heights, and Presidio Heights.